We are thankful for Safety at Sea class options! Specifically, we just learned that BC Sailing has scheduled two Sail Canada / ISAF Approved Safety at Sea classes for early 2015 at the West Vancouver Yacht Club. The dates are Friday-Saturday, January 9-10, 2015 and Friday-Saturday, February 27-28, 2015. 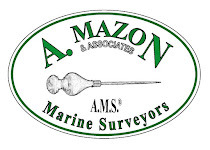 These classes are two days each, and are Sail Canada / ISAF Approved. As a preference to events that have Safety at Sea training requirements, advance registration is available now to crews of boats that are sailing in the 2015 Oregon Offshore and 2015 Van Isle 360 races. General registration for these classes will open to the public on Wednesday, December 17, 2014. Additional classes may be available if demand warrants. Thanks so much to BC Sailing for the information and the priority registration! More good news: Safety at Sea is coming to Portland in March! 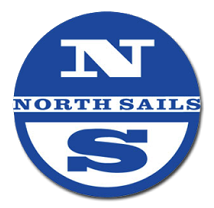 Nicole Sirois and Mark McCuddy have headed up a group of volunteers from the Oregon Corinthian Sailing Association and CYC Portland to bring a one-day Safety at Sea seminar to Portland. Bob Schoonmaker of Seattle will be hosting the event on March 14, 2015 at Portland Yacht Club, and Bruce Brown from US Sailing will moderate. We're told he puts on fantastic seminars! This class will comply with the 2015 requirement for the Oregon Offshore International Yacht Race. Please note that if you are seeking certification for Pacific Cup, Vic-Maui or other international races, a two-day seminar will likely be required, and this class would not meet that requirement. We will keep you informed of further updates and sign-up information. Feel free to pass this information on; everyone is welcome, and this will be a very valuable educational experience not only for offshore racers, but also for cruisers and people still anticipating their first time sailing in the ocean. It's Official! 2015 dates have been set! CYC Portland has finally finalized the dates for the 2015 Oregon Offshore! The race will start on Thursday, May 7, 2014, with the start time TBD as usual (based on tides and the safest available Columbia Bar crossing). The finish deadline will be 1000 hours on Sunday, May 10. 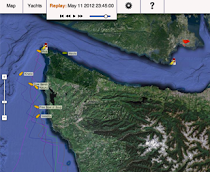 The mandatory skippers meeting will take place on May 6 in Astoria, OR, exact location TBD. Stay tuned for more information! We will try to have the race packet, including notice of race and safety equipment requirements, available around the first of the year.